Known as the Black Island, Corvo is as a main volcanic structure, wherein the melting is at its top and is accompanied by a score of volcanic cones side flanks and inside. 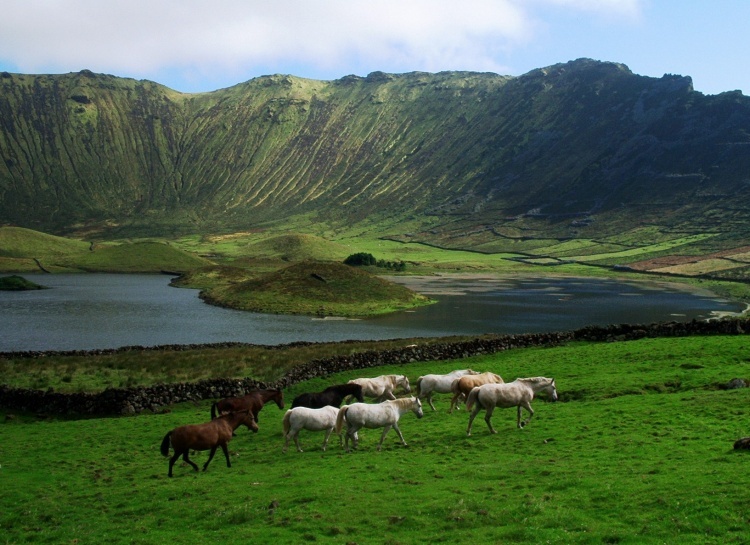 So the Raven is an island volcano, unique in the Azores. In this landscape, the green dominates the semi-natural pastures and dark stone walls demarcating the property. The Corvo has little forest density, but we highlight the heather and the cedar of the woods, and there are several orchards with fruit trees, especially on the east side of the island. 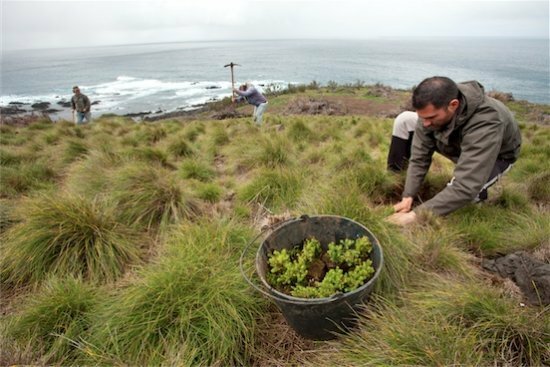 In order to enhance and preserve the environmental and cultural heritage of this island in 2007, the Reserve of the Biosphere Corvo was created. The main scenic element Raven is without doubt the Cauldron margins, which resulted from the volcano the top of collapse. Currently this boiler has an elliptical shape and its interior is occupied by a shallow lagoon and volcanic cones small, that dot the lagoon, as many claim, depict the design of the Azorean islands. On top of this boiler, the vast volcanic depression is observed as the quiet landscape looking for the most remote point of Europe. In Vila do Corvo there is a lava fajã with a flattened surface, originating from the basaltic lavas of Fountain Hill, one cinder cone in the village overlooking. 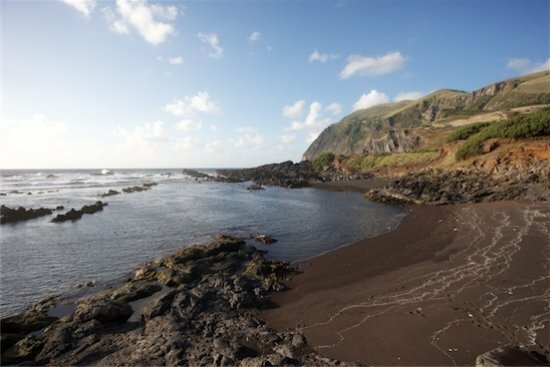 The drained that formed this fajã is visible along the corvino coast, in the form of lava beads, which have developed between the Portinho da Areia and Ponta Negra, obtaining an underwater expression, called by Caneiros is a destination for divers. The last episode of eruptions took place this fajã, there are more than 80,000 to 100,000 years. The Raven is surrounded by high cliffs, which reach their abruptidade in the west and north of the island due to sea erosion, which originated broken and landslides, exposing the basaltic veins, forming a dense and capricious lattice intrusive ways. However, in order to appreciate such natural beauty, they are advised tours boats, which allow access to areas of difficult pedestrian access, thus being able to observe both the natural landscape, such as sea birds and some marine vertebrates such as dolphins or whales. Biological Reserve of Corvo – began with the support of the team of the Environmental Interpretation Centre Corvo. Cauldron – a crater 2.3 kilometers in diameter and 300 meters deep, it is stated that in its interior are designed in landscape Azorean islands. Areia Beach – also known as Portinho da Areia, this is the only sandy beach in Corvo, where its sand consists of small grains of volcanic rocks, volcanic ash and myriads of small shells of sea creatures, which along thousands of years were up decomposing and accumulating this site.